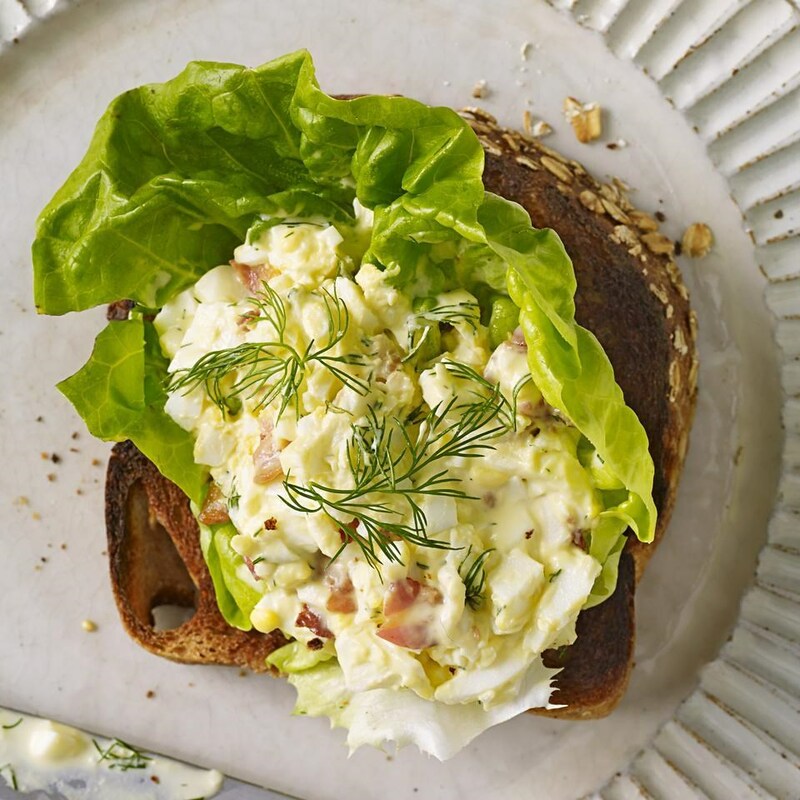 This egg salad recipe is spiked with dill and lemon zest. Crisp pancetta adds texture and flavor. If you don't want to go with the pancetta, try a few capers sprinkled on top instead. Place eggs in a medium saucepan and cover with cold water. Bring to a boil over high heat. 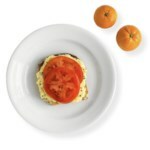 Remove from heat and let the eggs stand in the hot water for 8 minutes. Drain, fill the pan with ice water and let the eggs cool for about 10 minutes. Meanwhile, cook pancetta in a medium skillet over medium-high heat until crisp, about 3 minutes per side. Drain on paper towels, then crumble. Peel the eggs and mash them in a medium bowl. Mix in mayonnaise, dill (or chives), lemon zest, salt, pepper and the pancetta. 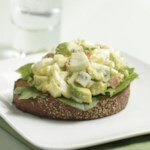 Top each piece of toast with a lettuce leaf and ½ cup egg salad. 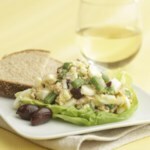 Garnish with dill (or chives), if desired. 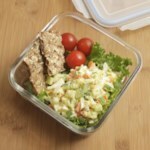 Make Ahead Tip: Refrigerate egg salad for up to 1 day.